The Show Floor is buzzing over the course of the two days of Canadian Meetings + Events Expo with exhibitors from Canada, US, and Internationally. It’s an environment ready for serious business, networking, and on-trend features to improve and enrich your business. Come Camera Ready!! Be ready to capture you and your team’s perfect head shots. Powered by Pinpoint Photography, the HeadShot Salon will be open each day of the show. Simply visit the Niagara Falls Business Events booth and salon to be primped by the makeup crew and smile for the camera. It’s the perfect time to update your Headshot for your website, blog and all those social platforms. 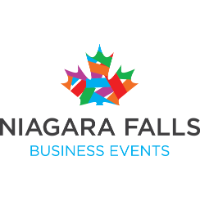 The best part is, it’s brought to you for free compliments of Niagara Falls Business Events. Make it a date for you and your team! Take a load off and learn on the trade-show floor in these complimentary 20-minute mini education sessions where you will learn from industry experts and earn CE credits!